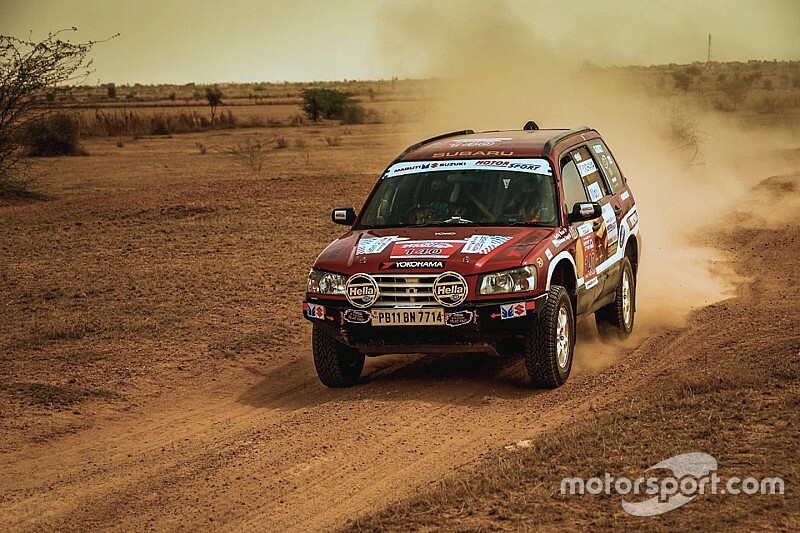 Team Maruti's Suresh Rana took over the lead of the Desert Storm during the fifth leg in the Xtreme category as Aabhishek Mishra crashes out on Friday. The day had four special stages with SS8 being 55.55 km long from Kuchri to Mangaliyawas and SS9 stretching from Turkon Ki Basti to Majid Ki Basti, 67.41 km long. The SS10 and SS11 was backward journey from Majid ki Basti to Kuchri with stoppages at Turkon Ki Basti and Mangaliyawas. 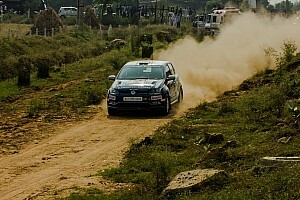 Mishra (with PVS Murthy) held a 10 minutes lead over Rana at the end of leg four which was further truncated to eight minutes by the SS8. 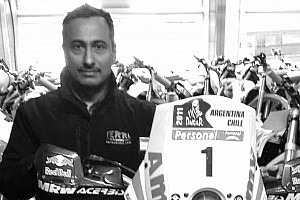 However, Mishra suffered a heavy crash in SS9 which led to his retirement handing Rana the lead. His Grand Vitara car toppled during the stage, both driver and navigator unhurt in the incident. Rana (with Ashwin Naik) went on to finish the day on top, having more than a hour lead over second placed Amanpreet Ahluwalia (with Virender Kashyap). Niju Padia (with Nirav Mehta) slotted himself into the final podium position, having a lead of 19m24s over Jasmohan Singh (with Gunpreet Sawhney). Sanjay Agarwal and Ranjiv Sally dropped out of the top 10 as well which put Lt. Col. S. Bajaj into fifth with Abhishek Chaudhary at sixth. The top 10 was completed by Puneet Jain seventh, D Ramarajan eighth, Sanjiv Singh ninth and Harvinder Bhola 10th - the latter three moving into the top 10 at the end of leg five. In the Moto class, CS Santosh maintained his top slot with TVS Racing's Aravind KP closed in on the Suzuki rider with just seven minutes gap between the two. Behind the two, R Nataraj moved up to third pushing Sanjay Kumar down to fourth with just 1m22s separating the two riders. Both the riders were neck and neck to each other with Natraj building a slim lead in SS11 to move ahead in the standings. Jes David was fifth after he was penalised in leg four with Tanveer Abdul Wahid in at sixth, who overtook Ashwini Kataria. Kataria lost chunk of time in both the SS11 and SS12 stages to Wahid with Austrian Rene Steinhart moving up two places to eighth. 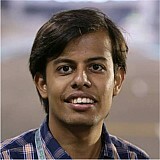 Rajveer Singh Tomar ended ninth while Virendra Waghela moved into the top 10 as Ashish Raorane dropped out to sit 11th.